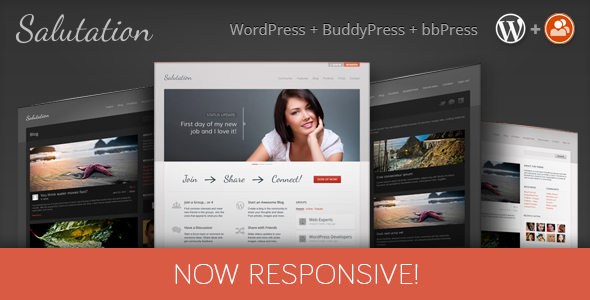 The responsive WordPress themes is selling like hot cakes. Here today I’m featuring the top 10 that i think it’s high quality and premium to you. 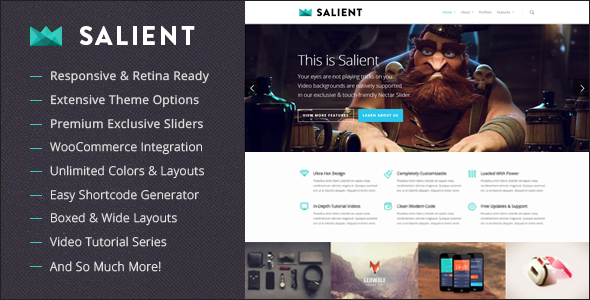 It might be useful for your future projects, for freelancers who can get a site up quickly. 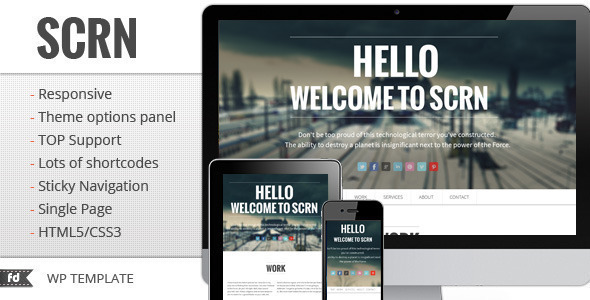 Here’s you go with the 10 Amazing Responsive WordPress Theme. 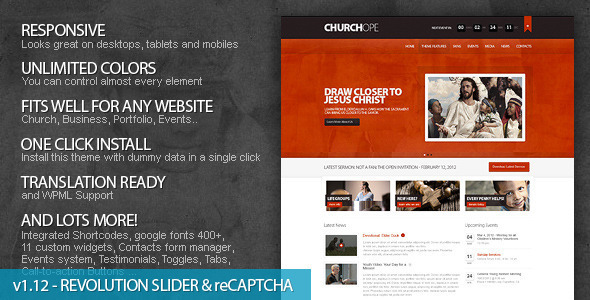 ChurcHope is extremely easy to install, fully customizable with unlimited colors, responsive and looks great not only on desktop buy also on all other devices, Fit well for any website, content formatting, you can easily translate it to any language. 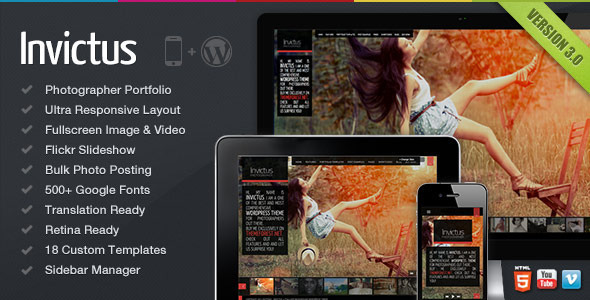 Invictus is a Fullscreen Image and Video WordPress Theme for photographer or creatives. 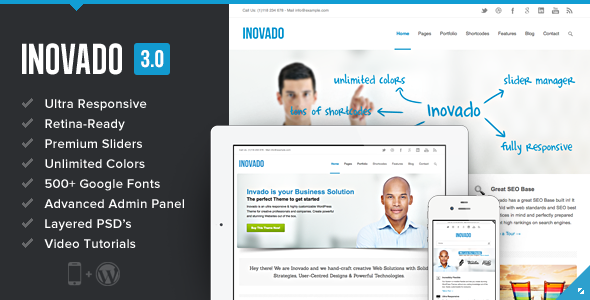 Invictus is so easy to use, super versatile and has a fully responsive design! With it’s flexible theme, page and post options Invictus is very intuitive to use and completely ready to operate out of the box.The possibilities are endless! We have build Invictus with latest HTML5 & CSS3 and a lot of love and care went into this theme making it a such a fun to use. Invictus brings you an awesome way to showcase your portfolio in a special way! Invictus can be used for any type of portfolio, but was mainly build for photographers, creatives or video artists. If you need clean, light and minimalist theme, Chocolate WP is definitely… not your choice! 🙂 It is refined and elegant template with complex and precise combination of light gradients, shadows and rich functionality. It was created to serve you as unique showcase of your works with strong blogging component powered by Woo Tumblog (for Tumblr-like posts) and Express App (for simple posting from your iOS-device).